Alex Winter and Keanu Reeves have been talking about making a third Bill & Ted movie for a very long time and it looks like it’s finally really going to happen. 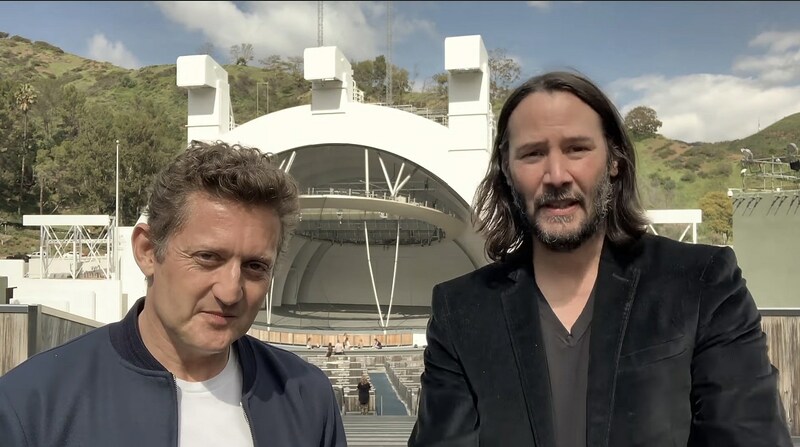 The pair just shared a video they shot at the Hollywood Bowl where they announced that “we might actually hopefully shoot a movie this summer — Bill & Ted 3: Face the Music.” The movie has a planned release date of August 21, 2020. Watch that video below. The original Bill & Ted’s Excellent Adventure came out in 1989 and its underrated sequel, Bill & Ted’s Bogus Journey, was released in 1991. There was also a short-lived animated series.